. . . Contemporary art, with its intimate connection to the time in which it arises, has the intellectual and creative capacity to be a powerful trans-disciplinary change agent, bringing together otherwise disparate fields of science, policy and politics. 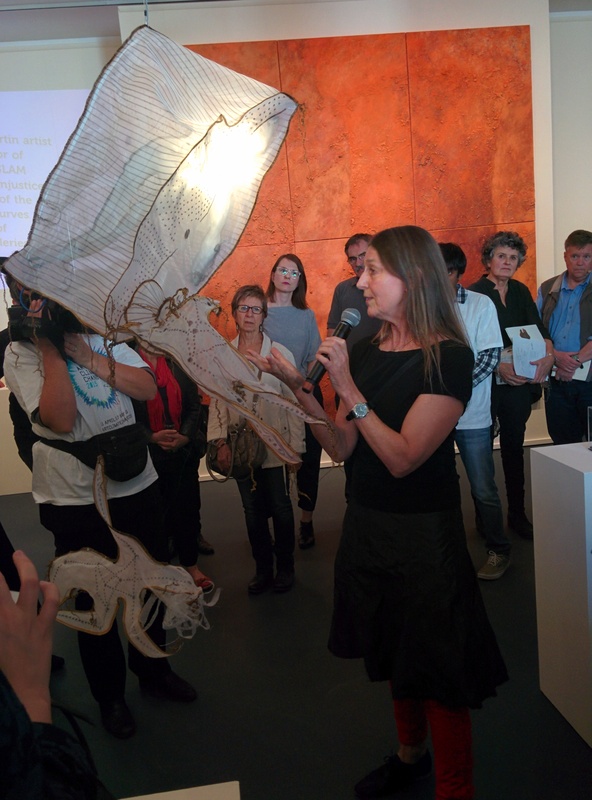 Artists such as David Buckland (UK), whose Cape Farewell organisation led expeditions of artists and scientists to the Arctic, Mandy Martin (AU) with her confronting evocation of coal mining impacts in NSW, and Amy Balkin (US) whose Public Smog project seeks to list the world’s atmosphere on the UNESCO World Heritage Register are some of the scores of Australian and international artists represented in twenty five exhibitions in Melbourne and regional Victoria. Public fora provide opportunities to engage with the artists and exchange views with a wide cross-section of the community. These include innovative approaches like anthropSLAM, a ThoughtLAB: Baby it’s hot outside, set in 2050, and the Maldives Exodus Caravan Show. AnthropSLAM is like speed-dating artists; leading local and international artists each present a 1-3 minute pitch about an artwork they’ve submitted to the Anthropocene Cabinet of Curiosities. Read full article at The Conversation.